Typically the water cooling scene in PC building focuses on two main areas – the processor and the graphics card, with memory or the motherboard being a distant third. The process of water cooling allows heat to be removed by a medium (a liquid) that can absorb heat and move away from the source of heat very quickly – the component thus has more efficient cooling, and this can offer a better overclock or lower temperatures. The element not considered that much is efficiency, as cooler components are also more efficient. 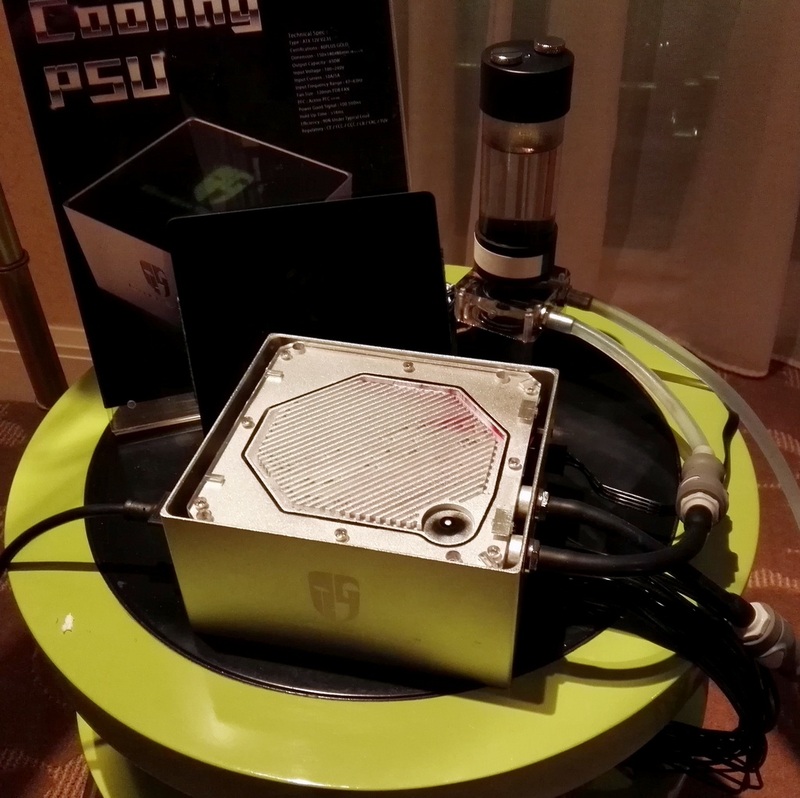 This was Deepcool’s play, via their high-end Gamer Storm brand, in their unit on show at CES this year. As it stands, this is wholly a prototype and they were asking for input from both media and customers. 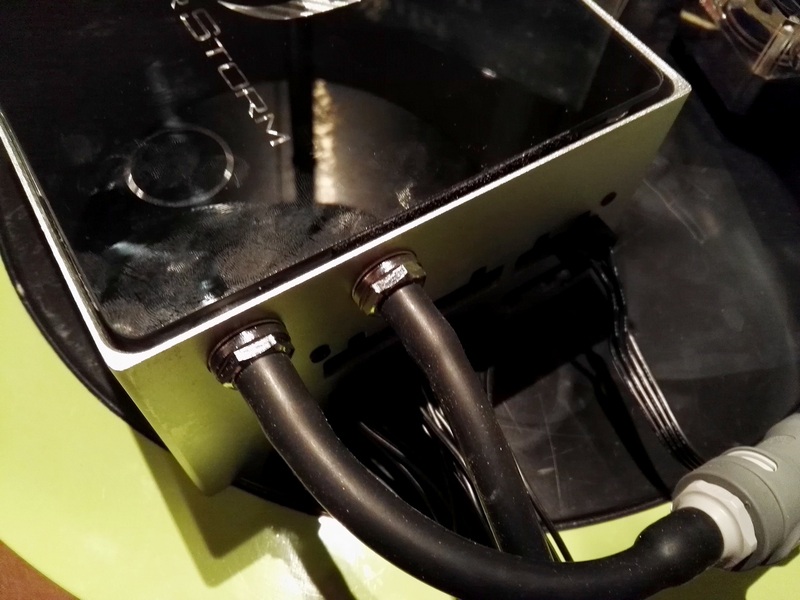 The aluminium chassis is a sealed unit, with just inside the top plate being a water cooling block connected to the converters in the power supply. This cooling block is connected via pipes to an external pump and reservoir. As it stands, the design is not particularly ergonomic and is a self-contained loop which arguably could add $70-$100 to the cost of the unit (even without the aluminium chassis). The aluminium water block is neat, and opening it up shows the water moving around, although we weren’t told if the connection to the converters was copper. Because it is a sealed unit, there are no vents, and the only sound would be the pump in the water cooling loop. As it stands, this is a little more than a novelty, and few people would use a self-contained loop specifically for a power supply – mostly because of space and the fact that users would prefer a CPU/GPU cooling loop first. Typically the power supply is not the loudest item in the system either. I put it to Deepcool that they need a combination air/water model, and the water cooling part of the power supply is a build-your-own with G1/4” threads such that someone building their own custom loop can simply add it into their own. The cooler power supply makes it more efficient, and the fact that it is air/water means that there can be a fan that kicks in if a pump fails or to supplement the extra. There could be a separate water-only model for their modification team. 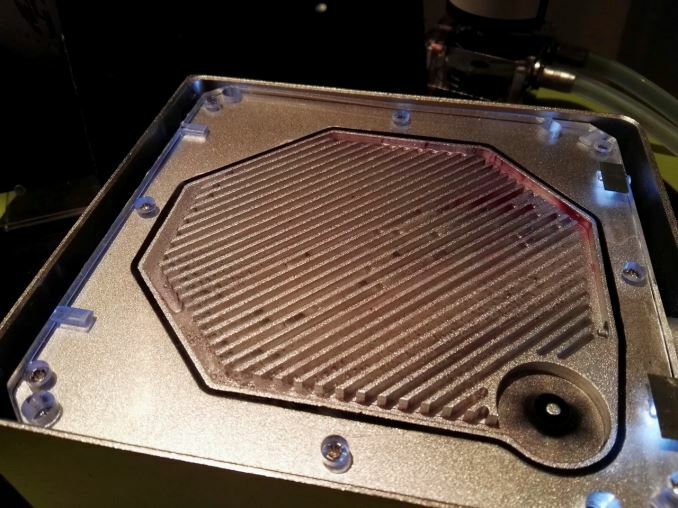 Personally I liked the look of the water block, but in my opinion the execution of water cooling is best left as an add-in model for custom loops. No doubt if Deepcool continues this design, we might see something a bit more final over the next few months. We were told that the unit on display was rated at 650W with 80PLUS Gold, and that future versions would be around that mark. I am long time WC for my PC. I seem to remember this being tried a few years back when PSU were less efficient, and it was overkill then. 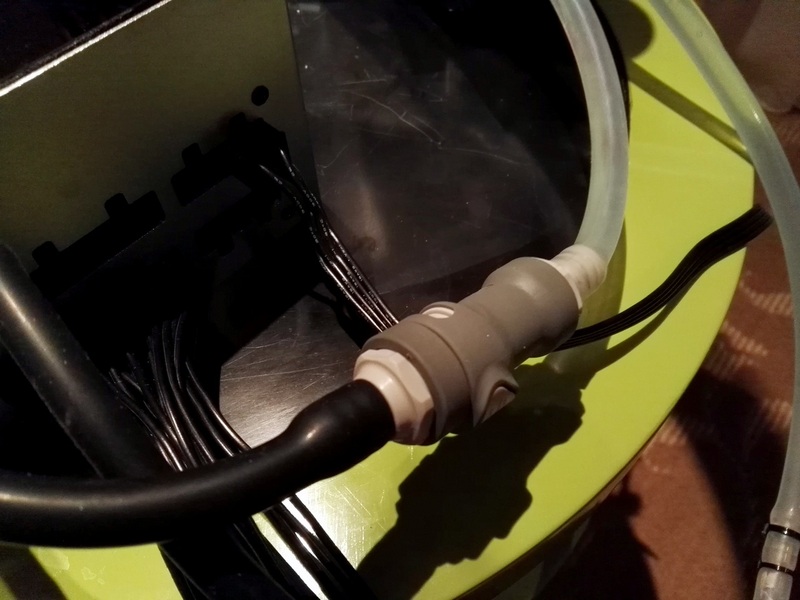 A really efficient PSU with a quiet fan will be quieter than the rest of a custom water cooling loop.